Penthouse are now on bandcamp! Rare Discs and unreleased demos are now available to stream, download or buy! Check back soon as we will be uploading Live Radio Sessions, Out-takes and Live Recordings! Penthouse (with guitarist Jon Free and bassist Esme MacDonald live in the studio)!!! "This week on Junkyard, we are featuring a band that formed in London in the mid 90's, their sound was described as a mixture of The Jesus Lizard and the Blues Explosion, the lead singer Charlie Fink's raspy vocals, combined with a great angular rhythm section provided a sound that was not coming from your typical English band, they later changed their name to Fifty Tons Of Black Terror, when the Penthouse magazine kicked up, joining us live in the studio will be the original guitarist Jon Free along with Esme MacDonald, the bass player on the final album UNT, we'll be playing tracks from all of their releases as well as discussing the history of the band, should be good, looking forward to it!!" The sad news is that the band broke up November 2002. Thanks to everyone who has supported the band during the course of those eight or nine years. Any news of future projects will hopefully be reported here in due course. There is a rather bittersweet obituary for Penthouse in France's Positive Rage which stemmed from an interview at our second-to-last gig, and which captures the mood of the last few days perfectly. Charlie Finke now fronts THE CESARIANS, featuring ex-members of Gretschen Hofner, The Auteurs, Monkey Island and even Christian Death! Tim Cedar went on to found the uber-heavy PART CHIMP and primal electro-droners DIE MUNCH MACHINE before opening DROP-OUT recording studio. Esme MacDonald also emigrated to Australia where he has been playing bass with THE PARADISE MOTEL. Graeme Flynn left the band in June '99 to play in an outfit with Jim Jones (ex- Thee Hypnotics) called BLACK MOSES. 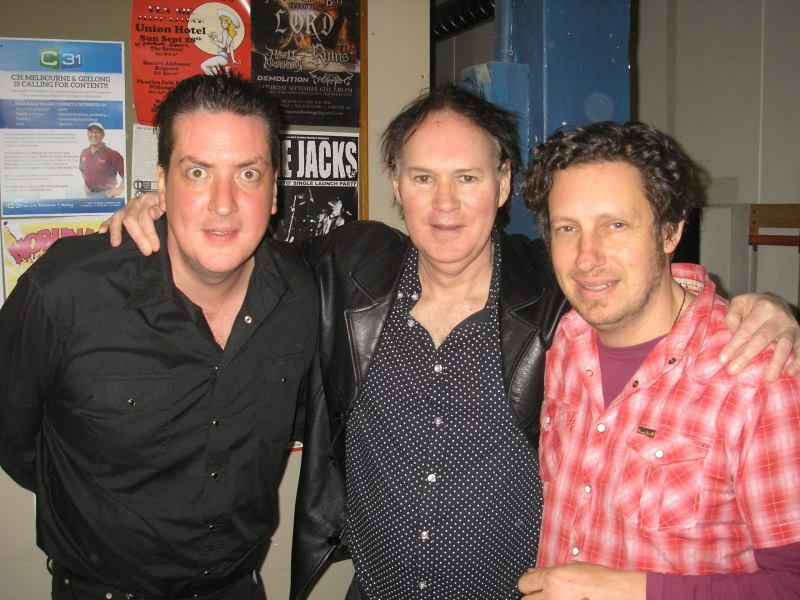 Graeme went on to engineer the first Jim Jones Revue album in 2008.